Thinking of selling your home on your own? Your plans may go along these lines: put up a for sale sign in the yard, price the home close to what your neighbor sold their house for, tell your friends and acquaintances about it, post an ad or two on Craigslist, and wait for the offers to come along. Sounds like a good plan? It is. But there’s more to home selling than meets the eye. There are challenges along the way that you’ll have to face before you successfully sell your home and make the most money out of the sale. Knowing these challenges will help you prepare once you face them yourself. Here are top 5 challenges of FSBO (For Sale By Owners). You’ve witnessed yourself the complexities of the home buying process when you first bought your home, well guess what? You won’t be spared of the same challenges when you sell your home. It will be the same roller coaster ride starting when you prepare your home for sale. There will preparation to make especially if you want to make a sale as easily as possible. Listing your home without preparation is a definitely no-no. The success of you selling your home on your own depends on how you carefully prepare your home. Some prelisting tasks that you should do include cleaning every nook and cranny of your home, decluttering and depersonalizing, enhancing your home’s curb appeal, repairing anything that needs repair, and other things you need to do to make your home in its best condition. Then there’s the matter of taking quality photos of your home, writing a compelling listing description of the property, and thinking of strategies to market your home. This is a true story: let’s name our seller Kelly and she did FSBO because she wanted to save money on commission. In a neighborhood where comparable houses were only selling for $140K-150K, she priced her house at $154K and had only two showings in the first few weeks she put her home on the market. She got realistic afterwards and dropped the price by 12K. Only then buyers started showing interest in her house. It is a bit hard to detach yourself emotionally from a house you’ve lived in for a long period of time. If someone says your house is ugly it will surely struck a nerve. It’s your house, in your eyes it’s special and when the time comes you sell it, you want to price it higher than what sells in your area because your house is special. And that is a common mistake of many FSBOs. 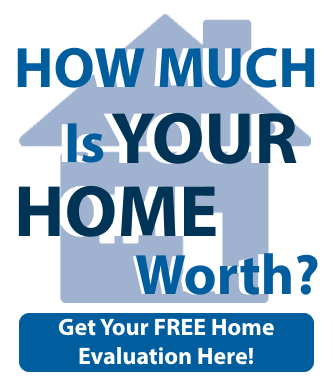 Sellers tend to overvalue the worth of their home because they are biased. Unfortunately, even if you think your house is special, your house is not going to be that special to other people. If you want to sell your home without a real estate agent, you have to price it according to the market value. See factors to consider in pricing your home. You will need to decide by yourself what price to ask for, you have to be objective and be realistic of the market price of your house. The consequence of not pricing your home correctly from the start is not good, it can take much longer to sell and it may turn off buyers because it is overpriced. Back to the story, Kelly marketed her home online. She posted her listing on an FSBO website and on social media telling her friends about her home. With many friends on Facebook and hundreds of followers on Twitter, she thought at least there’s a chance of finding someone to buy her house. Few weeks later, she realized those efforts weren’t enough to get buyers on her door. 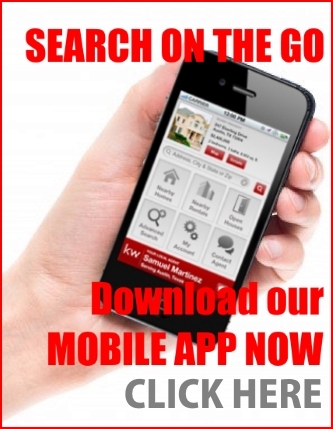 Perhaps one of the most challenging periods of FSBOing is marketing the property. It wouldn’t be this challenging if you have an agent at your side, but in FSBO, you’ll have to do the marketing of your home on your own. Most of the home buyers nowadays are using the internet to find homes. Putting up a for sale sign and putting an ad on newspaper no longer produce great results. You’ll have to create a strong internet strategy to market your home online. While there are many great tools available for you to tell the world that your home is for sale, your property will not get as much exposure to potential buyers as it would if it were on the Multiple Listing Service. Why? Most of the FSBO sites where you can put your listing don’t provide listing syndication. If you put your listing on the MLS, your listing is automatically distributed to popular real estate sites like Trulia, Zillow, Realtor.com and numerous local real estate agent sites. Kelly did receive an offer after pricing her home realistically and after diligent efforts of exposing her home online. A buyer offered 9% lower than her asking price and also asking for closing costs and home warranty. The buyer’s logic was she’s FSBOing and don’t need to pay for real estate agent’s commission. Of course Kelly counter offered but she never heard back from the buyer again. Don’t be surprised to get low ball offers when you sell your home on your own. You will surely encounter people who will come up with questions like ‘Will you take less for your home?’ ‘What if I offered cash, will you take less?’ Realize that the main reason buyers look at FSBOs is because they also believe they can save money. Many buyers believe that FSBO sellers will always going to come down in price. If they buy it for less, then they’re saving the same commission that you hope to save. The seller and buyer can’t both save the commission. This is the most challenging part of the home selling process. You’ll have to navigate the required paperwork in a way that sufficiently protects yourself. You’ll also have to get ready to negotiate with the people involved in the real estate transaction aside from the buyer or the buyer’s agent. This means getting in touch with the appraiser, the title company, the inspection company etc. Of course you can easily hire a real estate attorney that can help you with the documents, of course you can read book or blogs that will guide you through this, but the responsibility of the success of the sale lies on your shoulder, you’ll have to make sure everything is good and that you are protected. Going back to Kelly’s FSBO experience, she finally received a reasonable offer on her home after four months. After the offer-counteroffer process, she ended up with a reasonable $141K on her house. In this process, she didn’t do it on her own. She asked the help of a friend who is a real estate agent. Her agent friend gave her points on the matter. Admittedly, she said that without her friend’s help she would have made an expensive mistake. She finally sold her home and learned a lot during the process. Hers is an example of many success stories of FSBO, but her success story is not without any hurdles. You’ll probably hear unsuccessful stories of those who tried FSBO and learn from their mistakes. You can sell your home on your own but expect that you’ll have to face challenges along the way. If you think you can take these challenges without batting an eye, FSBO could be for you. However if you want to save yourself from the stress or if you don’t have the time to do it on your own, you can always hire a real estate agent to help you sell your home. An experienced real estate agent can save you from all the hassle of home selling and ultimately save you time. 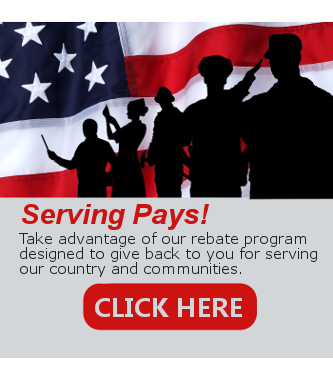 They assist you in the offer-counteroffer process, they help you with the paperwork. That is worth the money. If you want to sell your home (FSBO) or with a real estate agent, consider these challenges to make the best decision for yourself.